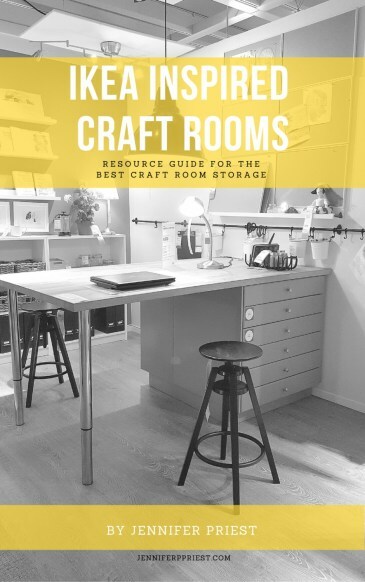 Post sponsored by Mirum Shopper but all opinions are my own. 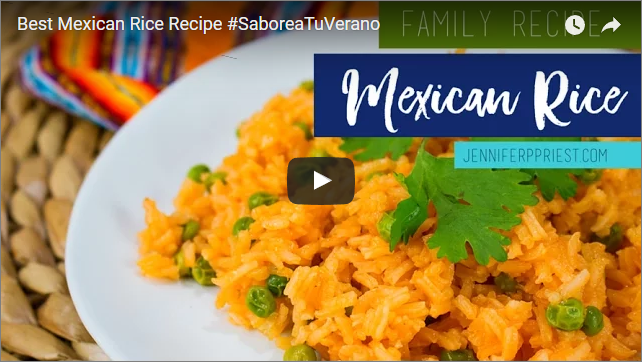 Everybody makes their spanish rice or Mexican rice recipe differently, in their own way. My grandmother was from New Mexico and she always made hers with peas in it. I imagine that was to make the meal go further on their frugal budget with four kids at home. 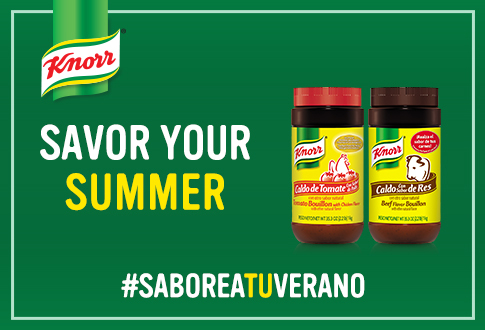 I make the same recipe for my family, but with a twist; I add Knorr Caldo de Tomate Con Sabor De Pollo to the water. The rice is more flavorful and has a creamier texture than using water alone. We love eating this rice with enchiladas or ground beef tacos, two more recipes I'll be sharing later this month. Now, let's talk about this rice! The best Spanish Rice Recipe Ever! When I was growing up and we would make this rice, everyone would rave about how it was the “best Spanish rice” they'd ever had. Well, we made it even better! 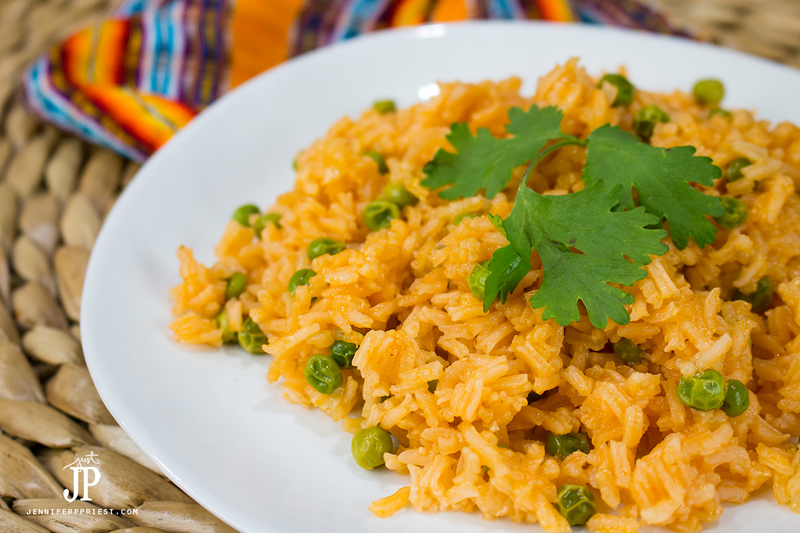 Now, when you order Spanish Rice or Mexican Rice in a restaurant, it doesn't have peas in it. In fact, I've never seen anyone else but my family add peas and if you don't like peas, you don't need to use them. My sister uses frozen mixed vegetables, the ones chopped in small cubes. I like to use peas, like my grandma used because of the memories and I think it tastes better. You don't have to use any vegetables at all if you prefer. One of the other changes I made was to use olive oil instead of vegetable oil. And I add Knorr Caldo de Tomate Con Sabor De Pollo to the water instead of using plain water to cook the rice. You can pick up all of the ingredients for this recipe at your local Walmart. CLICK the VIDEO below to see the full recipe and the tutorial vid! 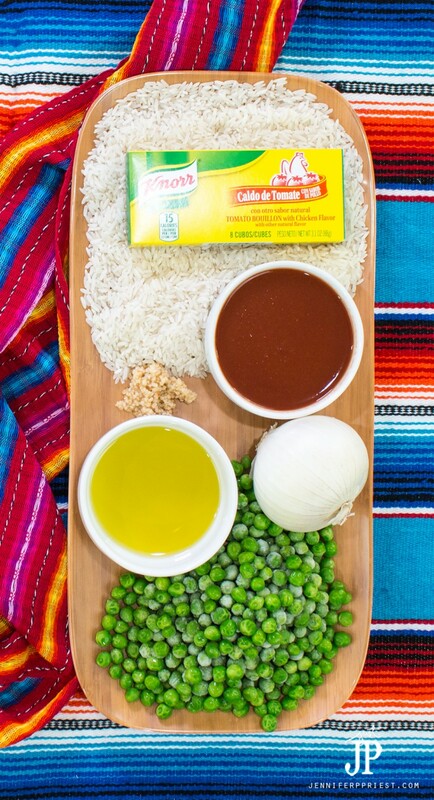 This looks so easy, I’ve never tried making Mexican Rice. And, of course there needs to be peas! This looks gorgeous and YUMMY! I can’t find tomato bullion with chicken flavor…. can I use vegetable bullion? 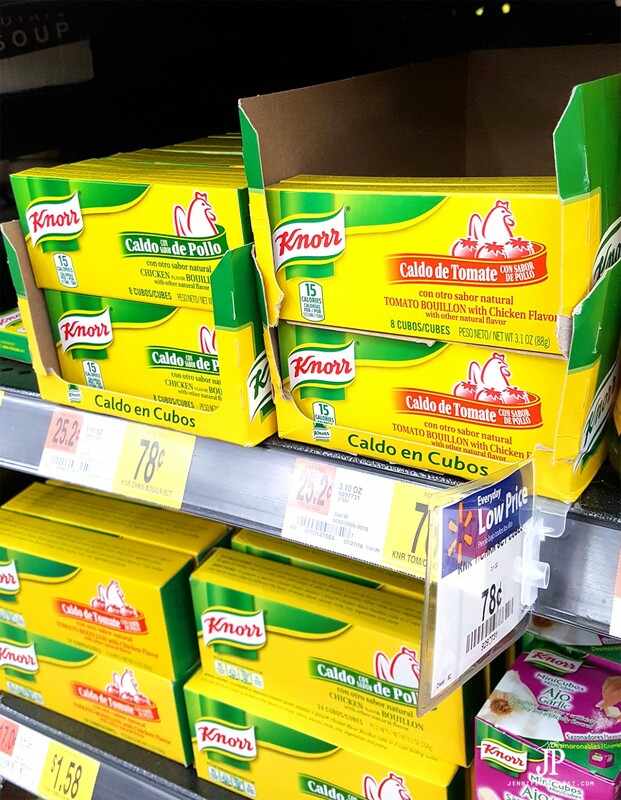 Hello, They have it at every Walmart – it is also called “Caldo De Tomate Con Pollo”. Look for the little yellow box that’s Knorr. This is just how my family makes it! I just made your recipe and it was delicious ! Thanks for sharing . Hello! This looks so good – could I make it with brown rice? And just cook for longer? I’d use one cube probably – they are condensed.